Parker has developed a new way of writing, the 5th technology. The best features of the four classical writing methods are combined in this refill. The writing experience with this refill can be described as ''intense'' and ''soft''. The refill has an regular ink flow and dries immediately after touching the paper, making this refill ideal for left-handed writers who suffer from patchy handwriting. The combination with the metal hood of the 5th Technology pens gives flexibility to the tip, making even line variation possible. This refill is only suitable for the 5th Technology pens. Available in a rich, sensual palette of sixcolours, Quink ink matches any occasion, style or mood. Choose between the noble ritual of bottle-filling, .. 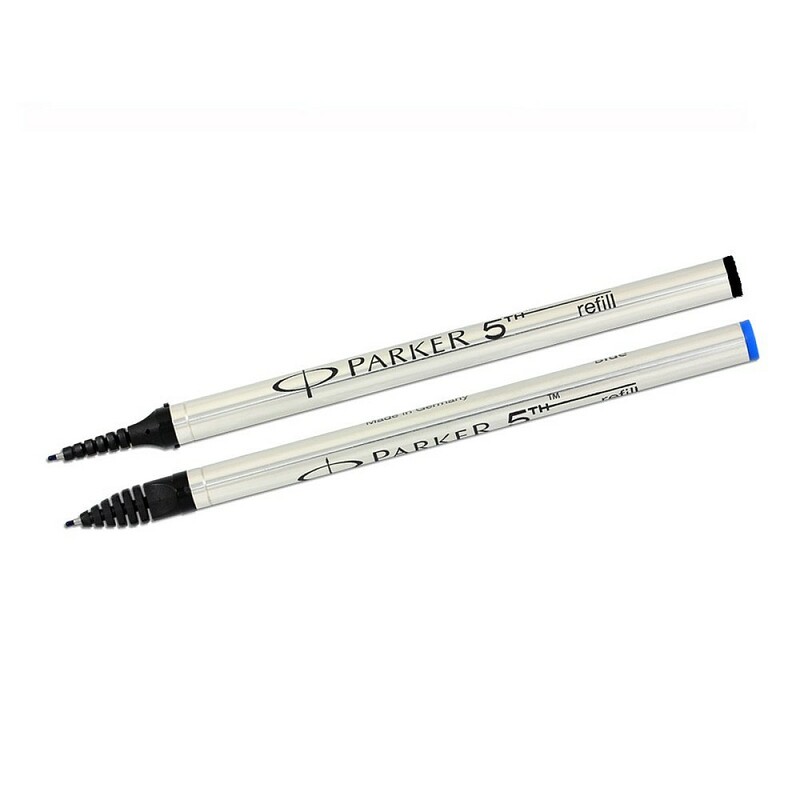 The Parker rollerball refill fit for all standard rollerballs from Parker and other rollerballs, which use standard Parker refills. The refill is avai..